You can integrate your Koomi POS to pull your actual sales data into 7shifts. You will need to enter your 7shifts API key in your POS. You can get the key from 7shifts by heading to Company Settings > API. Once you've completed the integration 7shifts will begin pulling in the sales data into the Actual Sales fields in the Dashboard, Weekly Budget Tool and Manager Log Book. 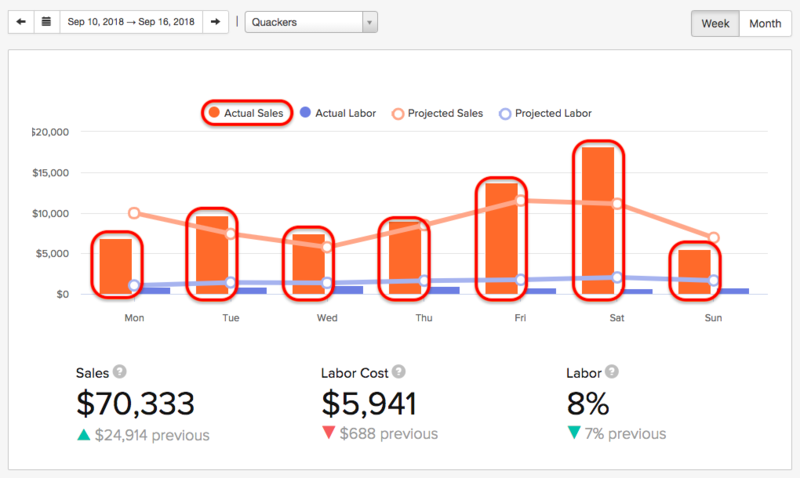 7shifts will also use those Actual Sales values to populate Projected Sales, allowing you to create schedules based on those projections.